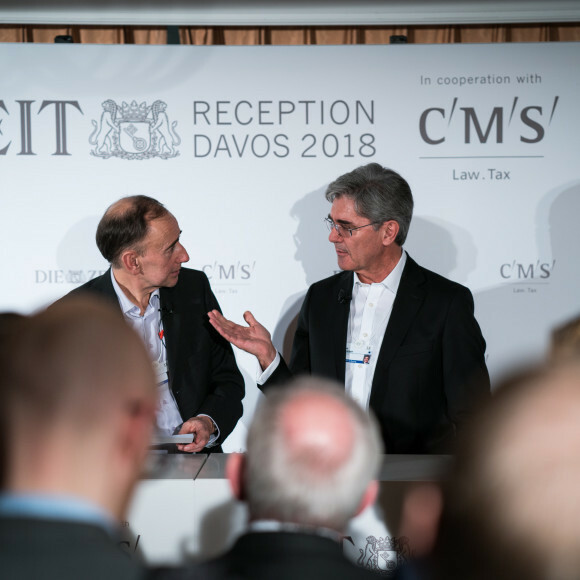 At an event hosted by the German weekly newspaper DIE ZEIT and CMS on 24th January, Joe Kaeser commented on the downsizing of Siemens in the energy sector: “We are not going to let Görlitz down. We are not going to let those people down.” Siemens has a social responsibility, CEO Kaeser said, but “if nothing happens 3.000 are gone, because life unfortunately is about reality and if I have no orders, if fossil power generation goes down because of the rise of renewables, I do need to act”. The ZEIT Reception Davos was held on the occasion of the World Economic Forum in Davos. DIE ZEIT in cooperation with CMS invited leading representatives from the worlds of business and politics to a roundtable discussion and reception. This press release has been published by DIE ZEIT.